As we celebrate our 50th year of publishing high quality scholarly works across the social science curriculum, we are proud of our long-standing tradition of offering innovative, leading-edge content created by influential minds from across the globe. The SAGE Books Division publishes nearly 500 authoritative and accessible textbooks, reference books, and professional books per year across its imprints, and has over 3,000 titles in print. 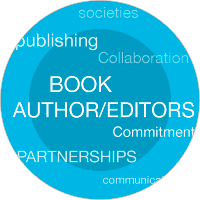 As one of the few remaining, truly independent publishers, we are a publisher, first and foremost. Our goal is to publish books that offer innovative teaching solutions, approaches, and perspectives to the disciplines we serve. While we are firmly guided by the needs of our market, we are driven to publish books that contribute to the learning experiences of students, the teaching needs of instructors, and the practicing needs of professionals. Contact your acquisitions editor directly and learn more about the benefits of publishing with SAGE.